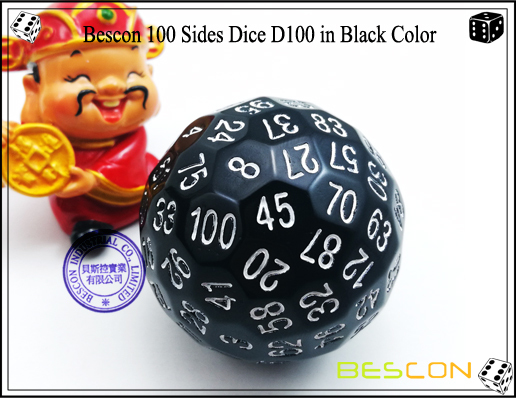 This is another great color from series of DAWN: Solid black+aqua. 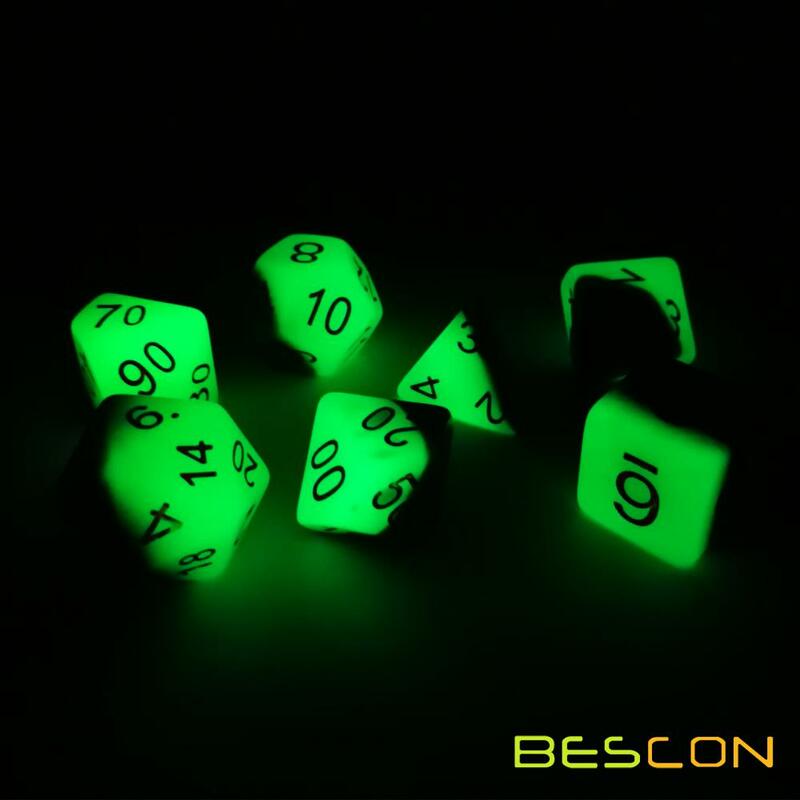 And aqua part glow in bright green in dark (after absorbing light). 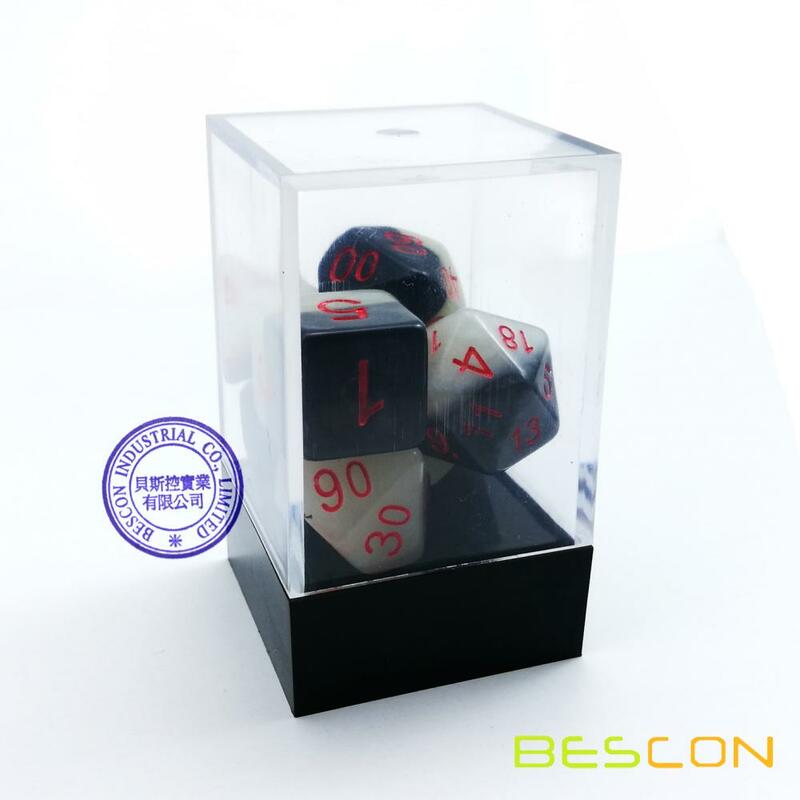 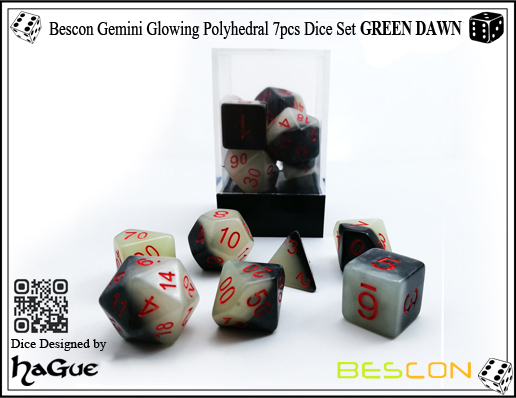 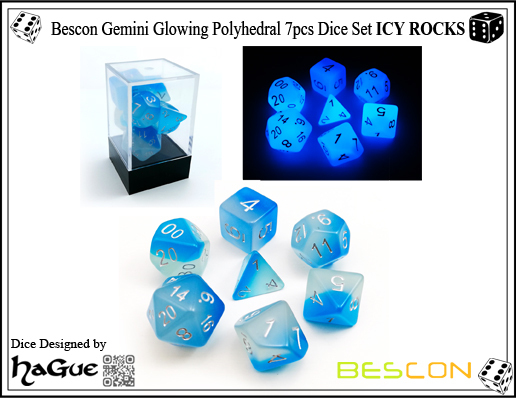 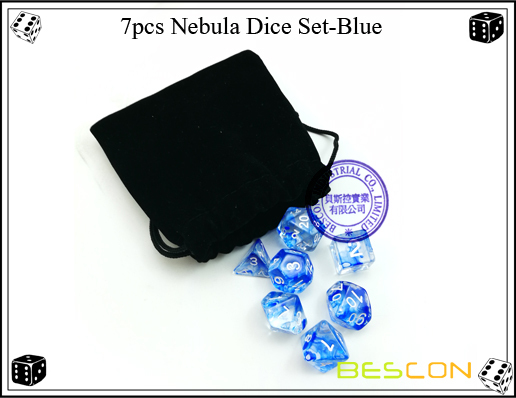 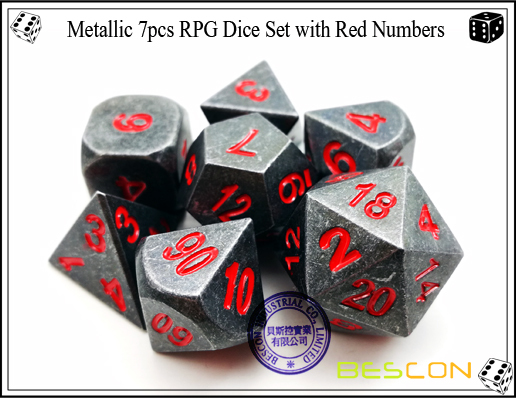 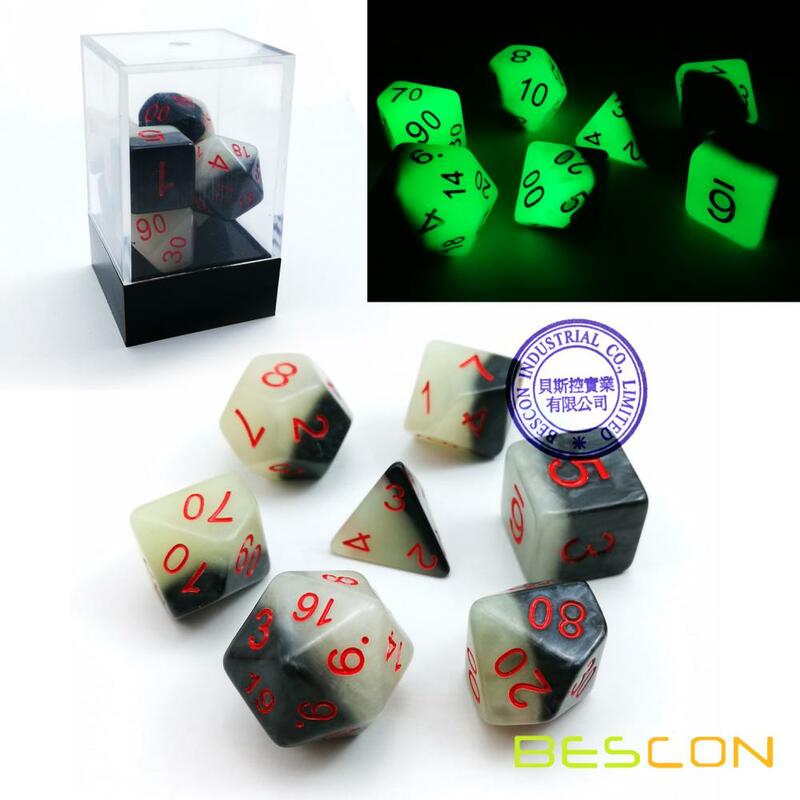 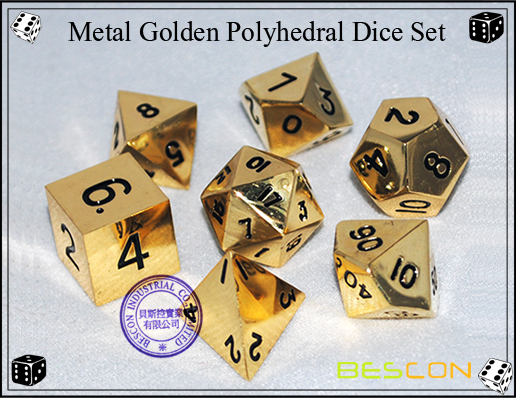 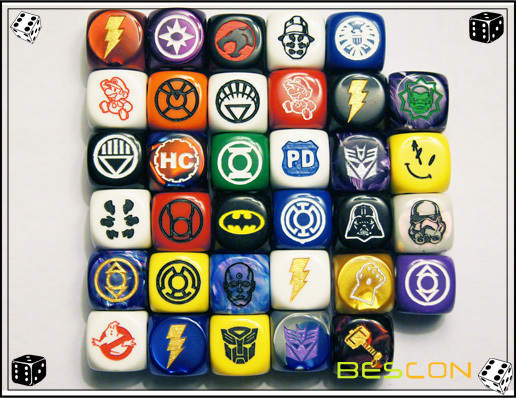 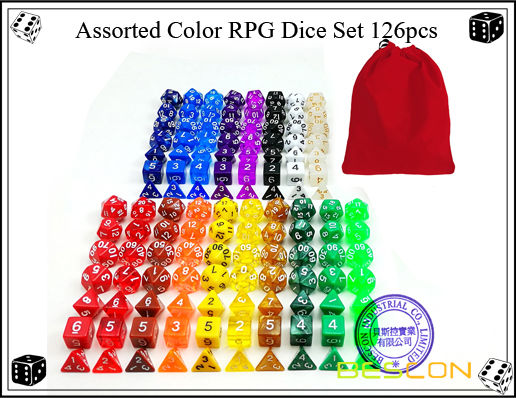 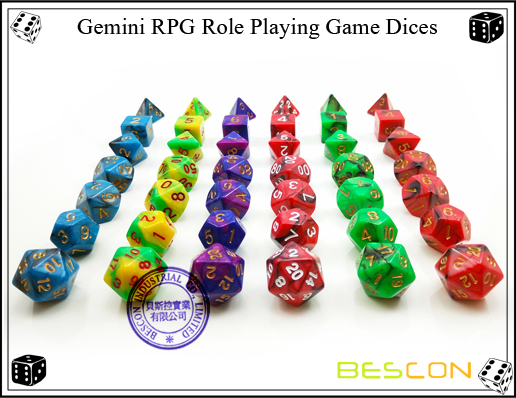 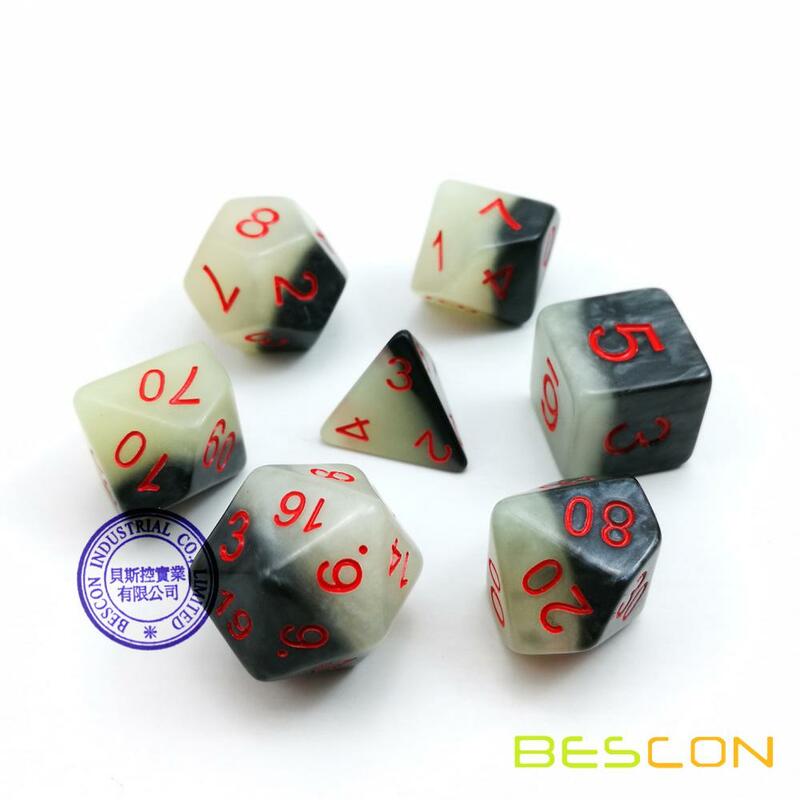 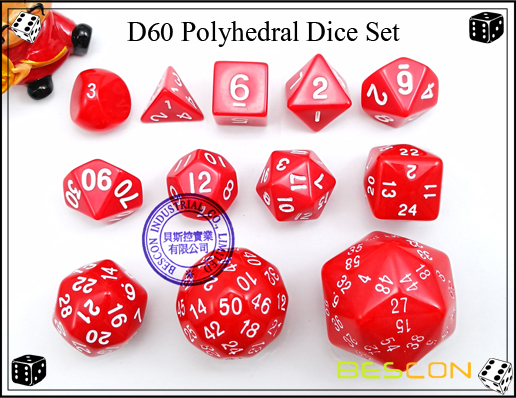 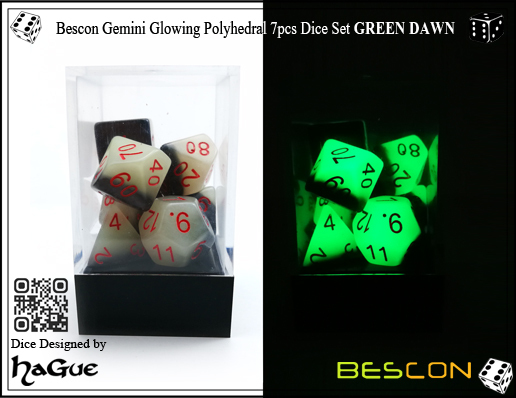 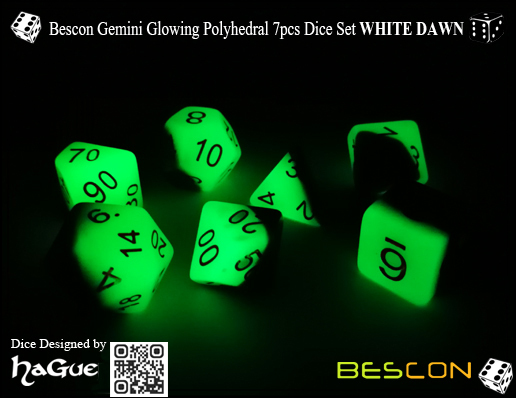 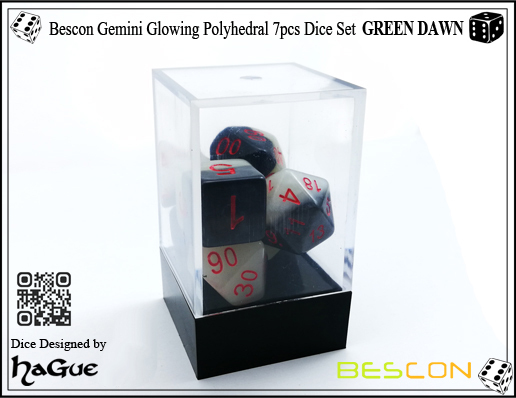 They are dice set of GREEN DAWN! 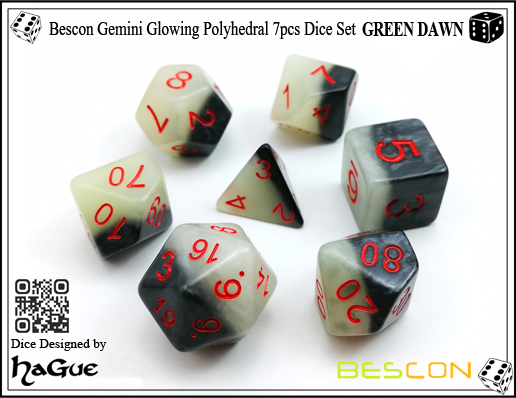 * Two-tone gemini color of Black+Aqua. 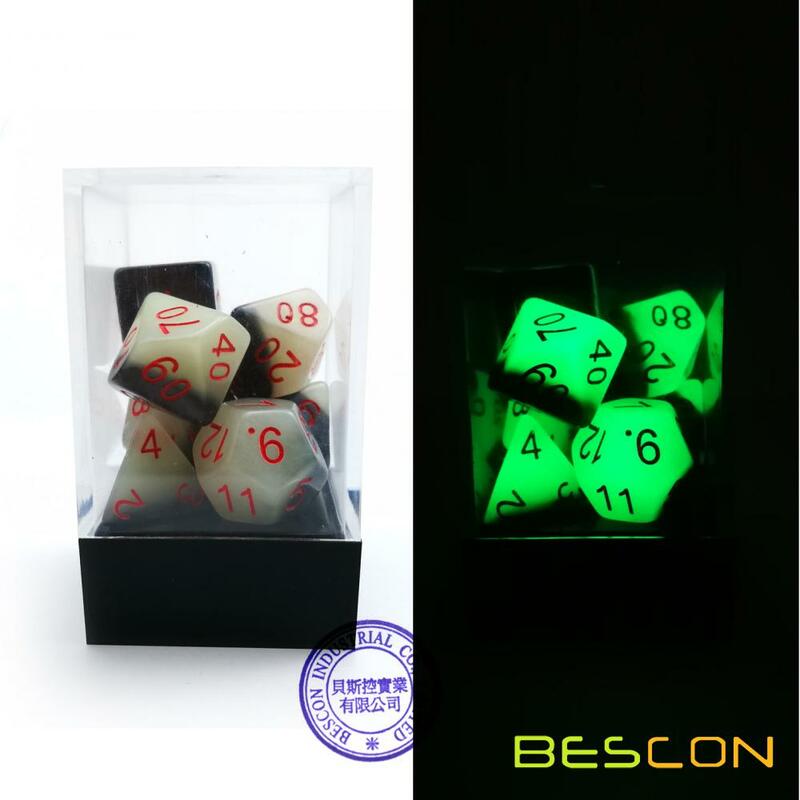 Aqua part glow in bright green in dark.